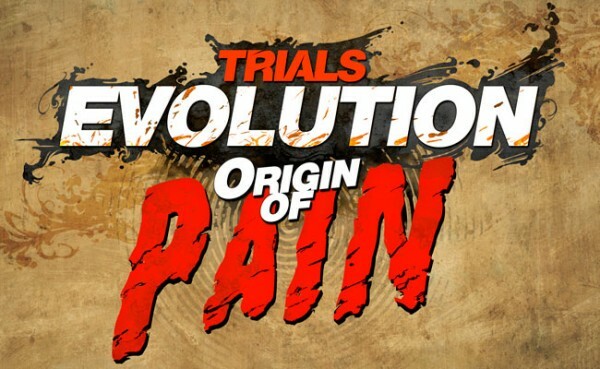 The Origin of Pain downloadable content for Trials Evolution was developed by RedLynx and co-published by Microsoft Studios and Ubisoft. It was released on October 5, 2012 for 400 MSP. A copy was provided for review purposes. Fall is upon us. The Summer of Arcade promotion is over, and while the five games released all did fairly well the real heroes this year are two Spring games: Minecraft and Trials Evolution. Both have been a beacon of hope in what has been a relatively disappointing year for Xbox Live Arcade thus far. Trials Evo is one of only a few of this year’s games we’re still playing are likely to still be this time next year. That interest is compounded with the newly released Origin of Pain downloadable content. RedLynx delivered in a big way with their Trials HD DLC, and are upping the ante this time around. 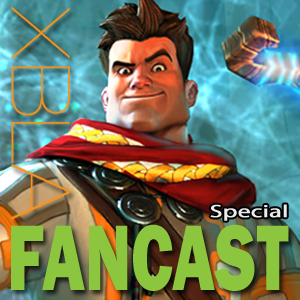 It’s arguably the most ambitious DLC offered for any XBLA game, and certainly one of the best bargains on the marketplace. While it does have a few weak points, Origin of Pain brings thrills in a way that only the RedLynx gang knows how to deliver. 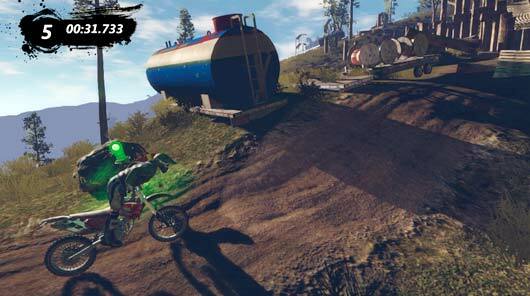 A vast playground – Origin of Pain boasts a setting twice the size of the original Trials Evolution island. It’s 4km x 4km, and the terrain has as much variety as it does size. 100 new objects are included for track creators, and while that may seem irrelevant to those who don’t use the editor, it really means more for everyone. Since the game’s release the community has exploded with hundreds (thousands?) of amazing maps to download and infinitely extend the life of the game. Origin of Pain will only serve to catapult those stats even further. The new objects, terrain and editor features mean the boundaries of what can be created have been widened yet again. Both the track creators and those who just love to play new creations are benefited. New digs and a new ride – Players who were torn on what helmet to use will be further confused with Origin of Pain, but that’s definitely a first-world problem. Who doesn’t love more customization options? Amongst the new helmets are a the blue knight’s helmet from Castle Crashers, a Roman-esque spartan helmet, a ‘moon’ helmet (looks like a Halo helmet to us), and a Ghost Recon-themed helmet. Standard style helmets are included as well for those not interested in a bit of wackiness. Also included is a new BMX bike. It’s comparable to the Phoenix, but due to its light frame is much more sensitive. It’s a great ride and a fun easter eggish inclusion. More quality tracks – RedLynx has a history of creating tracks that are not only fun to ride, but fun to see, and that tradition continues in spades here. Track themes range from a carnival/circus to a pirate cove, and each has a unique and challenging-yet-enjoyable ride to be had. The new achievements also lend themselves to trying new things on the various tracks, which in turn provides greater replay value. Unimaginative skill games – To be perfectly clear, the skill games included in Origin of Pain are fun. A lot of fun. 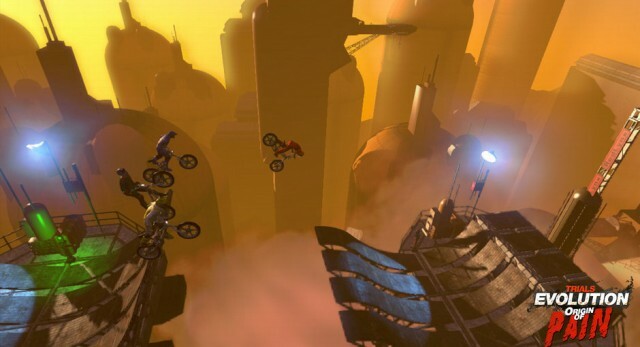 But you’ll only find two: a carnival cannon-based game and a unique take on the classic Trials hill climb. 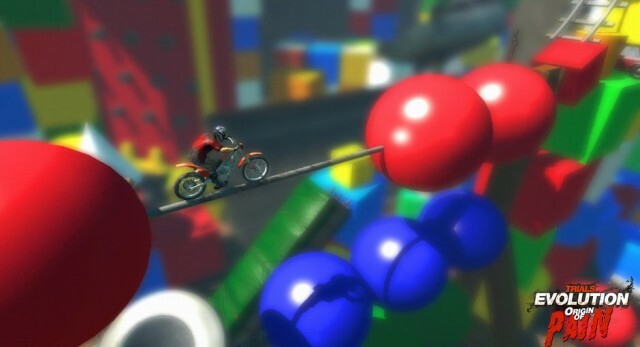 Neither showcase the abilities of the game’s editor, and only the hill climb will provide long-lasting fun. Where is the Bionic Commando-esque skill game we saw in the promotional shots? 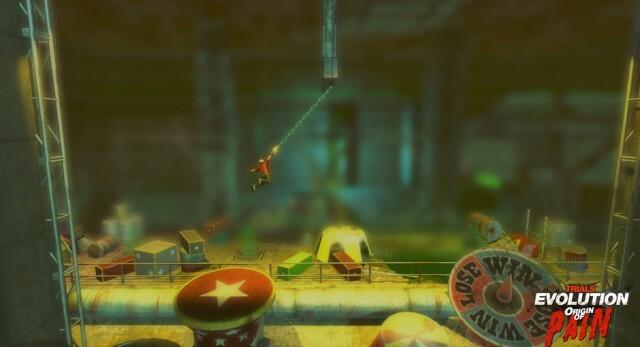 A RedLynx-created swinging game can be found under RedLynx Creations in Track Central, but it boils down to nothing more than a disappointing tech demo. Picking up Origin of Pain needs to be at the top of any Trials fan’s priority list. Never before has so much been offered to fans of the series for such an amazing price. 400 MSP is an absolute steal for this DLC. Even if players don’t get everything they want out of the gate, the content the community will inevitably create in the coming months will more than justify the cost. Pick this up, then go and convince your Trials buddies to go and do the same. This is absolutely the definition of quality DLC. No mustard on my bike.